I went out of my comfort zone a little to bring you this incredibly detailed scene! 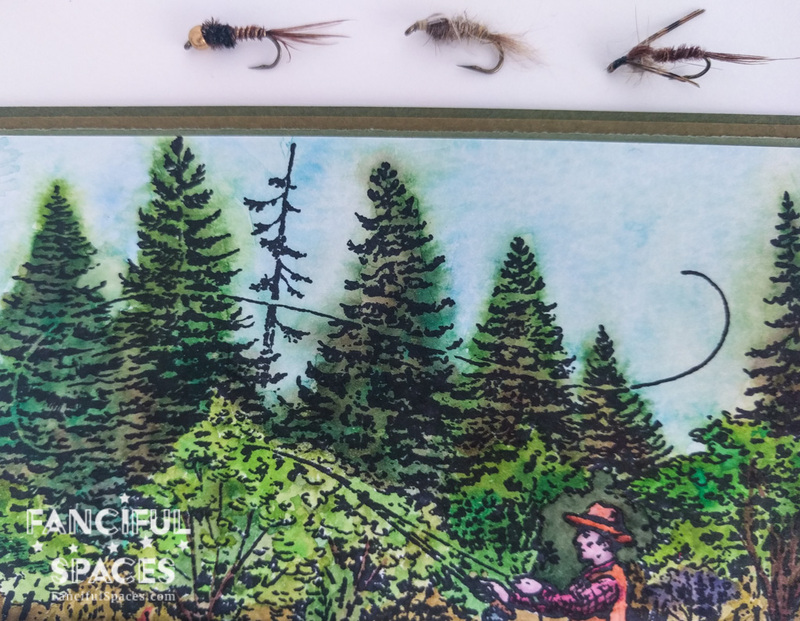 I was searching around the I Brake For Stamps website, exploring the WIDE variety of stamps they have when I found this stamp set. I was SO excited about it! Both my father and my brother fish, more my brother, but I thought it would make a lovely birthday card for my father’s upcoming birthday! For highly detailed images, like this one, when you first stamp it onto paper it can seem quite a bit daunting, to figure out what all is going on in the image. One thing that I learned when I was a scenic artist for theater, was to start painting what you know. As you fill the image in with color you’ll start to understand other elements that are happening in the image. For me, I started with the trees in the background, the sky, and the fisherman. The midground, in this image, is really busy and fairly confusing, however that shouldn’t prevent anyone from giving it a go! Just keep working the images you understand, and before long you’ll have painted the entire picture! I loved painting the incredible detail in this image, it made for a really fun time exploring how the different greens, browns, and blues, reacted towards each other. 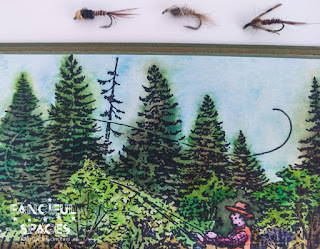 In various stamping Facebook groups I often see people struggle with masculine cards, there are QUITE a few options in the I Brake For Stamps selections, this Fly Fisherman stamp is just one example of the wide variety they offer. 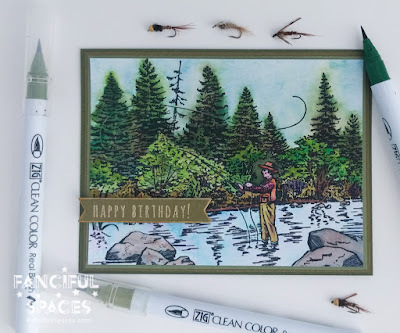 I am sure my father, like most outdoorsman, will love this card! Make sure to use the discount code “SAVE10HANNAH” to save 10% off of your rubber purchase at I Brake for Stamps!